After extensive touring since 2008, this southeast Texas based quartet, BARELY BLIND, completed over 150 shows and sold over 10,000 copies of their 2007 TDR Records release The Way We Operate. 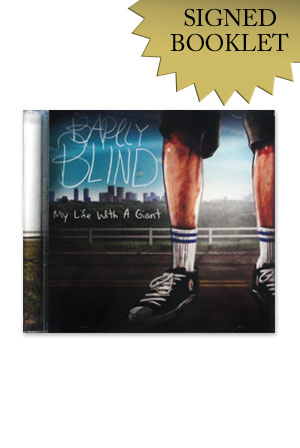 With My Life With a Giant, BARELY BLIND offers a unique perspective on pop melody while still retaining the foundation of rock 'n' roll. Check out their music video for "Panic Attacks Are Normal" at barelyblind.com.